In large bowl, mix cookie mix, butter and egg with spoon until soft dough forms. Stir in butterscotch chips and white vanilla baking chips. Using floured fingers, evenly press dough in pan. To soften butter, cut in small pieces and leave at room temperature. A faster method is to microwave butter in 5-second intervals, turning the butter frequently so butter is softened but not melted. 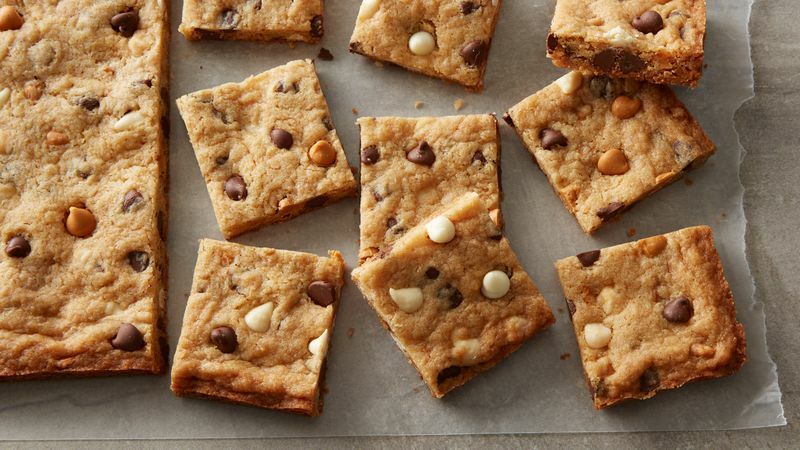 Try using your favorite combination of chocolate chips to make your own twist!